The Nigerian Army on Wednesday inaugurated a Situation Room in Abuja to monitor the general elections. The army said the election monitoring room was one of its strategies to address post-election violence. The Chief of Army Staff, Lt Gen Tukur Buratai, who opened the situation room, said it would help the military check thuggery, snatching of ballot boxes, abduction of electoral officers and party agents, destruction of lives and property, among others. 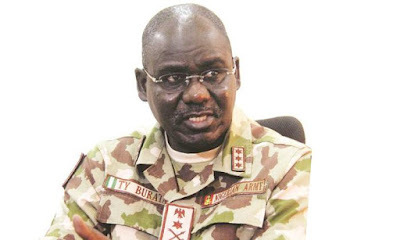 Buratai noted that the military “in its proactive measures, having observed this cycle of violence reccuring in our electoral process” decided to open a live election monitoring feed. The COAS said, “The army had earlier inaugurated Operation Safe Conduct which is one of the operations to ensure the success of the 2019 elections. The situation room has been reconfigured for a real-time monitoring of events during the elections. Post-election violence, which characterised the previous elections, clearly is one of the problems in the country, hence we saw the need to check it. “It is in this light that we have established this situation room. To further enrich the election monitoring process, the army will partner civil society monitoring groups and other stakeholders.